Lisa Kroese has appraised and helped sell millions of dollars worth of art, antiques and personal property. She moved across the country from the East Coast in 2010 just before her first daughter was born. 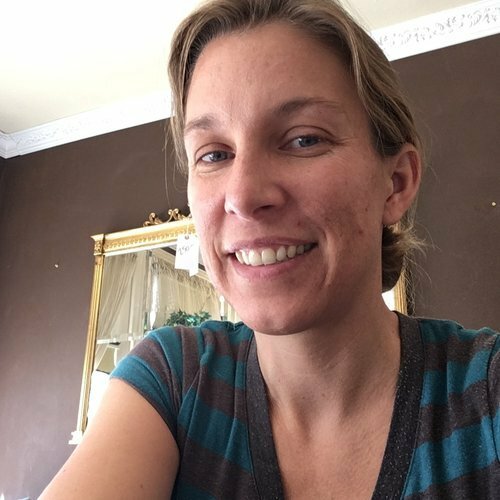 She is a 42 year old wife, mother of two with one on the way, and a successful small business owner. She owns Expert Estates LLC, an estate liquidation and appraisal company in California. She also runs an estate sale business membership site. 1. What is your business/Business Name? What does your business do? Expert Estates LLC provides liquidation services for collectors and for people who are moving, downsizing, or who have lost a loved one. 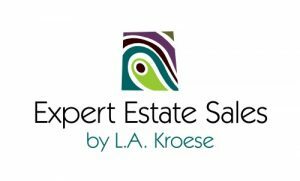 We offer estate sale services and one stop shopping for families that are in need of help with their personal property sales. We can sell items at an estate sale in their home, at my store in Tehachapi, CA, at auction or in one of our online venues. I am also a CAGA certified appraiser. I see so much need for the services we provide and I hear from so many people who want to break into the industry, that I also now offer business and coaching services to other estate liquidators. I do that at EstateFusion.com and with my books. The Estate Sale Business Kit is available on Amazon. 2. Why did you get into this field? What opportunities did you see? I had known about the industry for a long time. One of my first jobs was with a regional auction house where I learned how to appraise art and antiques. I also handled contract negotiations and learned a lot about marketing all kinds of estate inventory. I worked as a private personal property appraiser after leaving that position, and got the hang of working for myself. Moving from Pennsylvania to California was a key event that led to starting my business. When we arrived here, I was in my third trimester of pregnancy with my first daughter and I knew nobody here. When our movers delivered our furniture, I had a realization of how foolish we had been. We spent thousands of dollars moving our things, many of which were broken during the move. I realized then that it would have been best to have just sold our stuff in Pennsylvania. With the money we made from the sale, and with what we saved from hiring movers, we could have furnished our home and saved lots of stress. That’s what really got me motivated. We opened in 2011 on a very lean budget. The estate sale industry is competitive, but I see a tremendous need for the services we provide. There are estate sale franchises available for between $20,000-50,00,0 but for a very, very tiny fraction of that price, I help other people establish their own brand and achieve the same financial success I have had. If I can move across the country and succeed with a busy husband and two small kids at home, I believe anyone can do it. I want to make it simple for others to define their goals and get on the path to success. 3. What have been your biggest challenges? Keeping in mind that even though I love helping people, I do have a business. Sometimes a family will want something from me that I can’t deliver as a business person. Saying no and explaining why I have to say no and what services I can provide to them can be hard. People are seeking my services most often at a time of transition, whether due to the loss of a loved one, or an illness, or sometimes due to a foreclosure or bankruptcy. At times it can be a hard task because their attachments to the objects in their homes have sentimental value that just won’t translate into fair market value, but they are hiring me to liquidate these personal assets. So communication is important and having the research to back up my information helps too. I work on commission, so of course I want to sell things for as much as possible! 4. What has been your greatest reward? I love it when I can bring relief to people. Sometimes I have a client who has had a lot of emotional trouble with the task they have – emptying a home of its contents – it is a huge task. I have even helped families who have inherited hoarder homes with their liquidation. When they realize that they found a team who they can trust to handle it, that feels great. Sometimes they are clearly worried when we are starting. I just love the moment when they see us in action, and they know it is safe to let go and let us do our work. 5. If you could change something, what would it be? Over the years, some of the people I have hired have been wrong for my team. Two of them started their own estate sale companies. Now I have better employment screening processes, and better contracts and agreements. I make those available to the other liquidators that work with me so that the lessons I learned can benefit others. 6. If you could give a new entrepreneur advice, what would it be? I would recommend taking time to get your business plan and good contracts in place. If there is a coach or mentor in your field that you can connect with, that is a fantastic resource for you. I also recommend getting a good business attorney – someone who knows about employment law, and a good CPA. 7. Social Media. Yay or Nay? Yes, we have 975 Facebook fans and we are on all social media platforms as EEstates. Everything! I use it all. 8. How do you market your products? I have a variety of tricks up my sleeve. 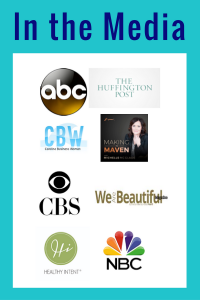 Selling my book is a great way for new estate sale companies to find out about my coaching services. I market online through all of our social media accounts, I also blog at EstateMama.com. My website, ExpertEstates.com, does a great job of attracting estate sale clients. I have an email list of over 1,000 customers who shop at our estate sales. 9. Is your business a service or a product? If you are a product, how do you handle production? We are service oriented. 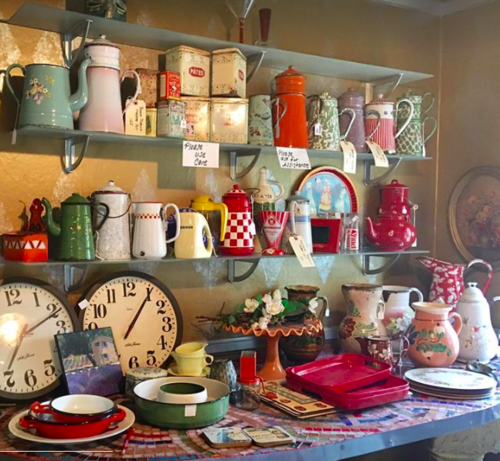 We do sell vintage goods, but we don’t produce them, we just have to attract good estate sale clients so that we have the inventory our shoppers want when we open the doors for our estate sale events. 10. What is unique about your business? Well, the coaching and consulting that I do is not common in the industry. Most other companies are not training people to do what we do. And in terms of being a liquidator, people hiring an estate liquidator are looking for someone trustworthy and honest. Those qualities are what I believe land me my jobs. I have an auction background so I know a lot about good venues for all different kinds of property. When people hire me they can rest assured that I won’t assume the painting that is boxed up in the garage and falling apart is not worth anything. I have helped sell art and special objects ranging in value all the way up to 6 figures. 11. Sell me your product/service. I love helping people and saving them time, headaches and money. That’s what I do for both my liquidation clients and for people seeking help in the industry. 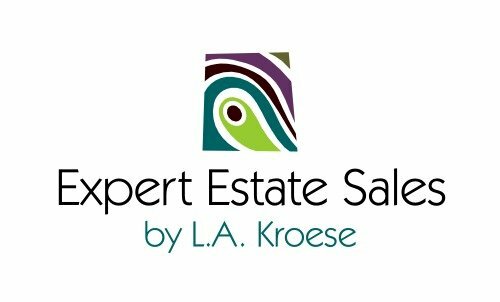 According to a NY Times article on the estate sale industry that came out in March, there may be over 14,000 estate sale businesses nationwide. I know one of the liquidation franchises has over 150 branches. I think franchises are great for some people, but some of us would not do well if we could not build our own personal brand and set up our own systems and manage things with our unique style. If you fit into that category and you are thinking of getting into this business, I would love to talk to you! People who already have a liquidation, antique or appraisal business but who want to improve their profitability would benefit from joining Estate Fusion. 12. How can people get in touch with you? What’s your website/Contact information?